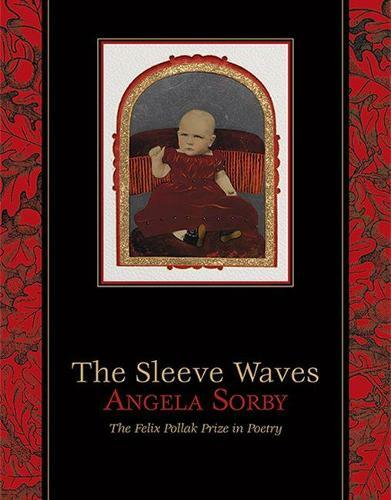 Winner of the 2014 Felix Pollak Prize in Poetry, selected by Naomi Shihab Nye. Inspired by thrift store knit sleeves, punk rock record sleeves, and, of course, print book sleeves, Angela Sorby explores how the concrete world hails us in waves of color and sound. She asks implicitly, "What makes the sleeve wave? Is it the body or some force larger than the self?" As Sorby's tough, ironic, and subtly political voice repeatedly insists, we apprehend, use, and release more energy than we can possibly control. This collection includes two main parts-one visual, one aural-flanking a central pastoral poem sung by Virgilian sheep. Meant to be read both silently and aloud, the poems in The Sleeve Waves meditate on how almost everything-like light and sound-comes to us in waves that break and vanish and yet continue.